Basic Space is proud to announce Vukasin Nedeljkovic of the Asylum Archive, an archive of asylum and direction provision in Ireland as the recipient of the Basic Space Artist Residency 2018. The direct provision scheme was introduced in Ireland in November 1999 to accommodate asylum seekers in state designated accommodation centres. There were more than 160 centres located across the country, some of which include former convents, army barracks, hotels, and holiday homes. Most of the centres are situated outside cities on the periphery of society. The decision to house asylum seekers in remote state centres significantly reduces their possibilities for integration, leaving them to dwell in a ghettoized environment. Asylum seekers live in overcrowded, unhygienic conditions, where families with children are often forced to share small rooms. The management controls their food intake, their movements, the supply of bed linen, and cleaning materials exerting their authority, power, and control. According to Ronit Lentin, direct provision centres are ‘holding camps’ and ‘sites of deportability’ which ‘construct their inmates as deportable subjects, ready to be deported any time.’ Similarly, the Free Legal Advice Centre states that these privately owned centres, administered by the Government of Ireland, constitute a ‘direct provision industry,’ which makes a profit on the backs of asylum seekers. Direct Provision Centres are the primary focus of Nedeljkovic research. The ‘new’ category of institutions that are ‘deprived of singular identity or relations’ where the undefined incarceration is the only existence. The identity of asylum seekers is unknown; ‘their identity is reduced to having no known identity.’ Direct provision centres are ‘non-places’ where asylum seekers establish their new identity through the process of negotiating belonging in a current locality. Direct Provision Centres are disciplinary and exclusionary forms of spatial and social closure that separate and conceal asylum seekers from mainstream society and ultimately prevent their long term integration or inclusion. They are, as Steve Loyal argues drawing on Erving Goffman, ‘total institutions, forcing houses for changing persons, each is a natural experiment on what can it be done to the self,.’ When the Irish state initiated the Direct Provision Scheme, it deliberately constructed a space where institutional racism could be readily instantiated, explicitly through, for example, the threat of transfer to a different accommodation Centre or for deportation. Through Asylum Archive Nedeljkovic examines the notion of direct provision; constructing a theoretical framework on the issues of memory, power, authority, detention and supervision. Asylum Archive is a platform open for dialogue and discussion inclusive to individuals who have experienced a sense of sociological/geographical ‘displacement’, social trauma and violence. It is an act of solidarity to bring a different perspective on the life of people who came to Ireland to seek protection. Asylum Archive’s objective is to collaborate with asylum seekers, artists, academics, civil society activists and immigration lawyers, amongst others, with a view to creating an interactive documentary cross-platform online resource, critically foregrounding accounts of exile, displacement, trauma and memory. Nedeljkovic intends, throughout the Basic Space Artist Residency, to continue documenting Direct Provision Centres and in particular focus on two closed Direct Provision Centres that are in the immediate locality from the Unit 4: Gardiner Place DP Centre and Georgian Court DP Centre. This will be culminating in a visual display at Unit 4 and a possible panel discussion on Direct Provision and my work. The BS/AR ~ Asylum Archive is part of a multi-site programme of exhibitions, residencies and public programmes looking at institutional attitudes, community spaces and education. As part of our Incubation Space Residency with Dublin City Arts Office, Basic Space will work with Vukasin Nedeljkovic to produce a series of public programmes and establish collaborations and partnership with artists, researchers, writers and curators in addressing the concerns of the Asylum Archive. Dublin City Council Arts Office's Incubation Space Award is intended to enable innovative artists, arts companies/collectives from any discipline to research and develop new works or collaborative methodologies, over a period of one to six months, through the provision of dedicated work-space. Basic Space is among the 2018 recipients of this award. 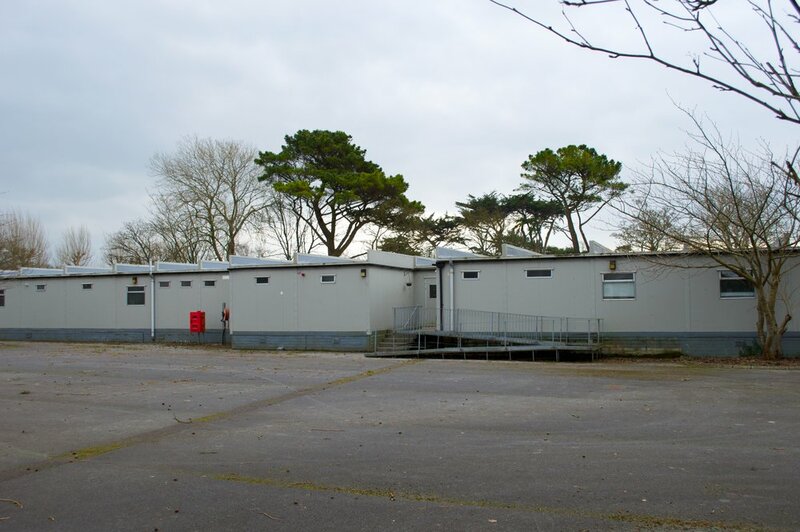 Image - Ballymullen Barracks Direct Provision Centre, Tralee.